According to our sources, the priority has now shifted to move the “Vista Room” (the control room that runs on-set projections) off the fifth floor to clear up office space. The “Early Start” updates will probably begin after this is done, likely after the start of the near year. 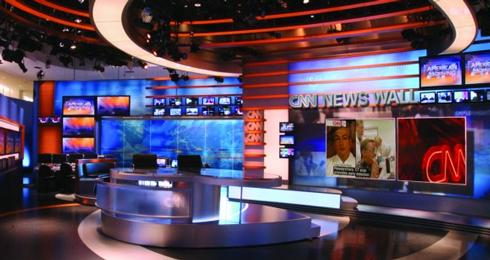 NewscastStudio’s CNN sources say plans are under way to update the CNN “Early Start” set. The show originates from what was once dubbed the “Communications Center” and also served as home to many years of CNN election coverage. Since then, however, the once open studio on the fifth floor has been enclosed and painted over, with parts removed as well. It is now used primarily for “Early Start” and “Erin Burnett OutFront” among other specials and CNN programs, where the most prominent scenic element is the rear projection screen. During the construction, the plan is for “Early Start” to originate from the CNNMoney set, located in the newsroom adjacent to the former Communications Center. 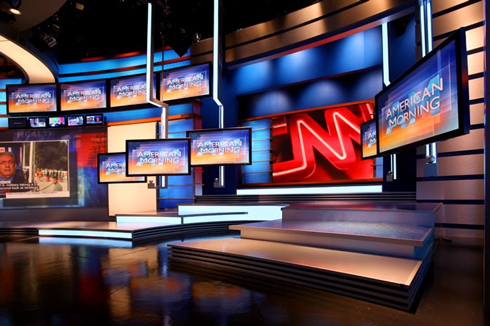 The CNNMoney set was used heavily during the recent renovations to workspaces at Time Warner Center. Another view of the original set. The CNNMoney set was, according to an insider, a hit with execs (it’s also located just a stone’s throw from Jeff Zucker’s office) and has continued to appear on programming even after renovations concluded, with only a simple flashcam remaining in the New York City bureau. No word on where “OutFront” will originate from after the “Early Start” updates. It’s also worth noting that CNN still plans to relocate to outside Manhattan in the coming years, such much of this work could be considered a temporary fix.